I am delighted to welcome the council’s Shop Front & Town Centre Improvement Grant Scheme which will be rolled out now in 2016. 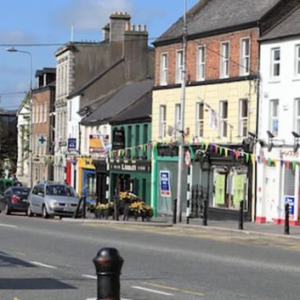 The purpose of this simple yet innovative scheme is to improve the appearance of shop fronts and other retail and commercial properties in our towns around Co. Kildare. 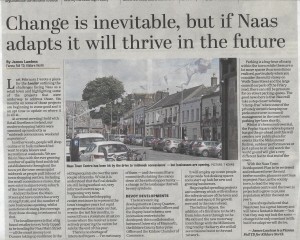 As we’re all well aware, town centre businesses have faced huge pressures in recent years to stay open. With more attractive town centres, we can help encourage business back in to our towns. This scheme is a welcome step towards this objective. The scheme is open to all existing businesses in towns throughout Co. Kildare. 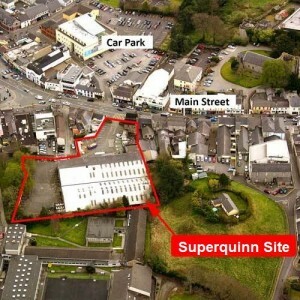 Yesterday saw great news for Naas as I learned the Superquinn site in the centre of the town has found a buyer and will be redeveloped. At this stage I have no details of who the new owner is yet but let’s hope it’s a quality retailer or equivalent business that will drive a new focus on bringing life back in to the centre of the town. As mayor and councillor for the area, my door will certainly be open to them to do all I can to help them progress. 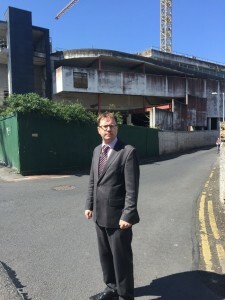 It will inject some stimulus back into the town and may also put pressure on NAMA to finally act on the other beleaguered shopping centre site.